Col. Chris Hadfield singing in space. 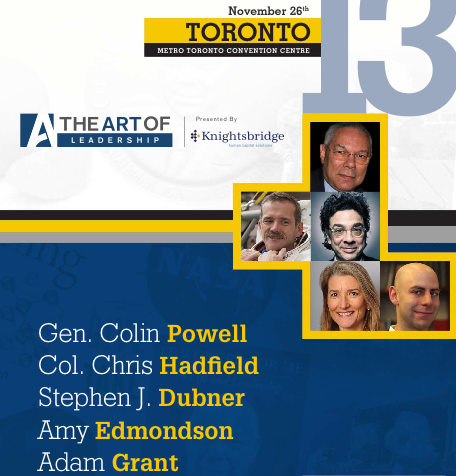 If you attended the previous "The Art Of LeaderShip" then you will be excited for the upcoming conference in Toronto on November 26, 2013. If you want to gain knowledge and have a great understanding on what it takes to be a "Leader" this event will help get your juices and motivation going. Get inspired by the speakers and by other like-minded people who share the same inspirations and goals as you. If you are a business professional, entrepreneur, graduate or have a curious mind to learn and be inspired then this conference is for you. Col. Chris Hadfield: Astronaut & Commander of the Space Station. Amy Edmondson: Novartis Professor of Leadership & Management at Harvard. To get a SPECIAL OFFER on purchase of tickets use code "TWITTERFAN32"
Purchase from 1-3 tickets- Save $50 per ticket with the code. Purchase 3 or more tickets- Save $100 per ticket with the code. The Captain Morgan Rock The Boat Concert Series is a 3 city Canadian Tour that makes a stop in Toronto for a fun night with the Captain and a special performance by Classified - Canadian rapper who hails from Nova Scotia and is a Juno Award Winner. I'm sure you've heard his current hit "Inner Ninja" on the airwaves. The night will have interactive experiences, sampling of Captain & Cola and special performances/DJs throughout the night at the Phoenix Concert Theatre in Toronto. 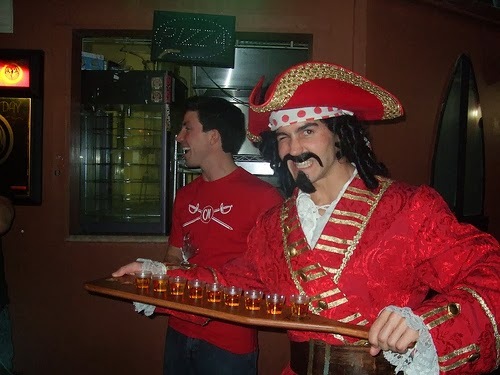 Thanks to Captain Morgan, I'll be giving away 4 pairs of tickets to the Concert Series in Toronto. Doors open at 9pm. Pretty simple right? Good luck to everyone that tweets to enter. I'll choose a winner using random.org on Monday November 4th, 2013. Good Luck to everyone that enters. Contest is for Toronto/GTA entrants only. Winner will receives admission for 2 to this event. No cash value. Valid ID required and must be 19+ to attend the event. Contest details can change without notice and Captain Morgan has the rights and final say of contest. What are you doing this Halloween in Toronto? The 5th Annual Burroughes Haunted Mansion party is in full swing again! It takes place this Saturday, October 26th. Everyone will be dressed in costume. Prizes will also be given out for best dressed costume. This event always sells out, so get your tickets soon! Time: Doors open at 9pm. Must arrive before 10:30 to avoid disappointment. I recently received an invitation to take part in the Buick Media Launch for their newest and sportiest addition, the Buick Regal GS 2014. It was being held in Cincinnati, Ohio. To add a little twist to the event, the chosen activities for all the invited guests left them pondering how they could stand in two states at once...to rediscover a lost art-form that has now been predominated by the digital world...thoughts that produced customized bucket-lists...and so the #BuickBucketList theme came about!! I was flattered by the invitation being the only Canadian contingent, intrigued by the bucket-list theme, and more excited that I had the chance to be bring one of my sisters along for the ride!! My sister doesn't travel a lot if at all...she's a stay-at-home-mom (SAHM) with 5 kids!!! So you can imagine that it was very difficult for her to leave the kids for the weekend (more on this subject later). It was a bittersweet experience for her! Thank you to Buick and Buick Canada on behalf of my sister and I, for making this weekend trip possible, and for helping us check a few things off our bucket lists!! Flying from Toronto to Cincinnati took less than 2 hours. My sister didn't know what to expect given that she hasn't been on a plane since she was in grade 7 and also because she isn't fond of anything that can give you that queasy feeling in your tummy. It's nothing a little sleep on the plane can't cure...her nausea eventually subsided. We finally landed in Cincinnati and arrived at our beautiful 21C Museum Hotel. 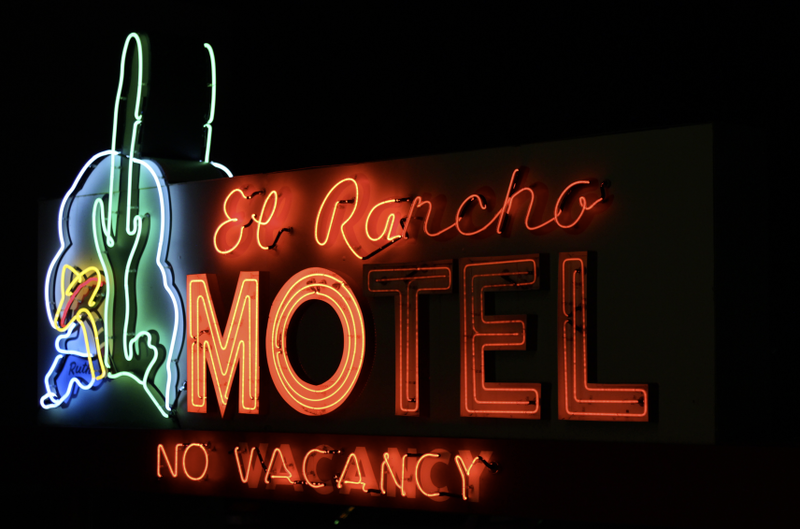 We were welcomed ever so enthusiastically by the friendly Buick and hotel staff. 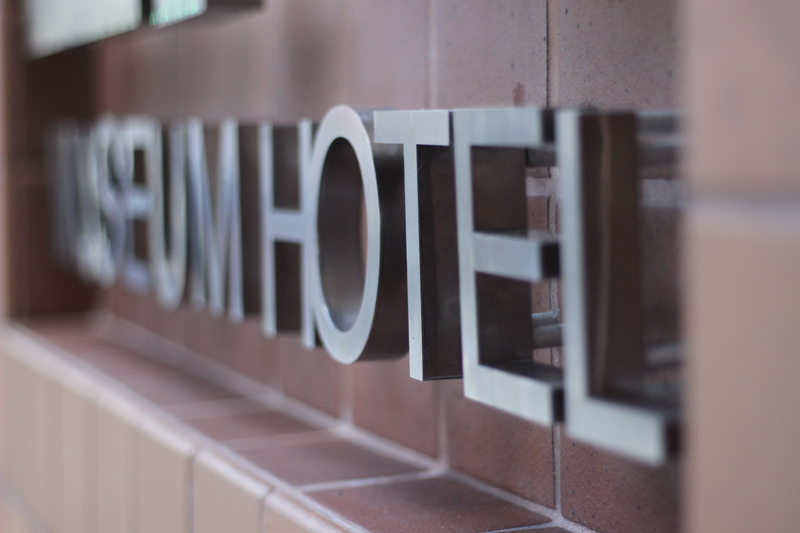 The hotel in itself is very stylish and hip with all the cool art displays found in the main foyer, hotel corridors, and second level. They also took it a step further and incorporated different types of artistic vision, into the suites as well...bathroom tiles that embodied various body parts throughout! Thanks to the 21C Museum for their hospitality and for the spectacular display of artistic mediums!! I was also taken aback by how Cincinnati was clean and well kept...I hardly saw trash anywhere on the streets or sidewalks. I definitely would recommend a visit to the beautiful city of Cincinnati...also referred to as "CinCity". Day 1: Upon checking into our hotel, we are whisked away into an awaiting bus of various lifestyle bloggers from around USA that took us to the American Sign Museum. 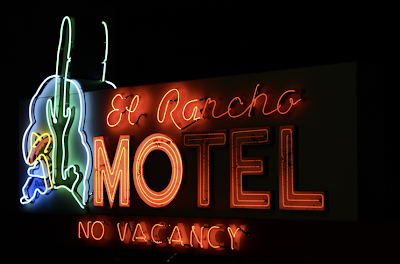 We were surrounded by flashing lights, neon lights, vintage signage...giving that good ol' southern feel. 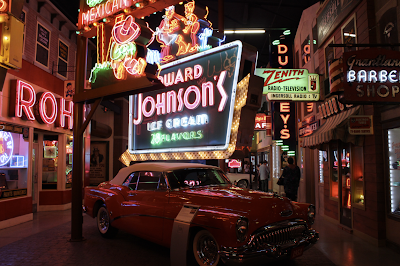 The American Sign Museum is quite an experience. It was nice to see all the different signs of years gone by and how they could still be accessible to the public. 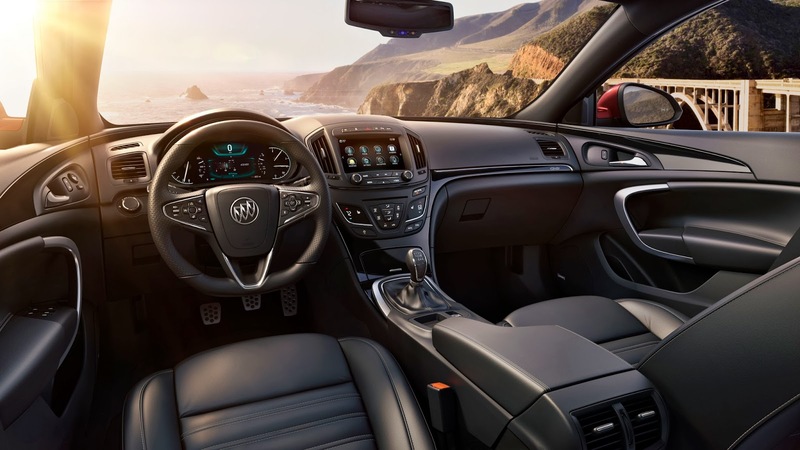 It was interesting to see how Buick through the years has evolved with the times as well...a perfect venue to reflect on classic models to introducing their newest addition...the Buick Regal GS. 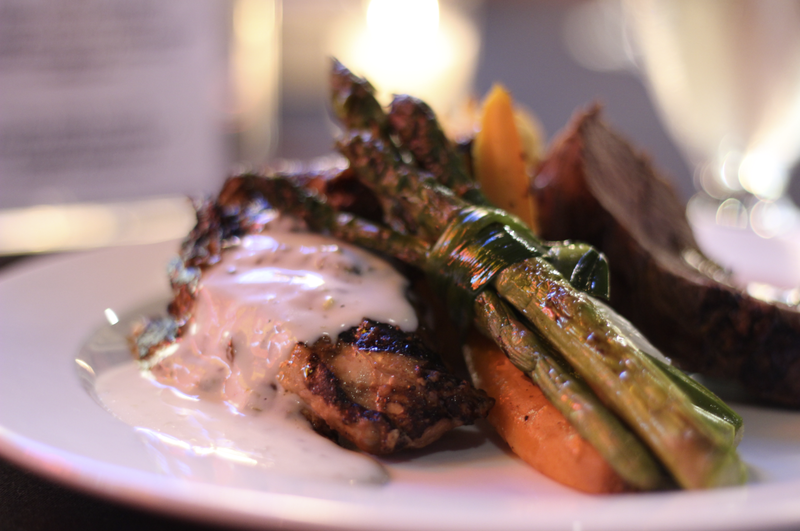 We enjoyed a wonderful dinner, had an opportunity to mingle with fellow bloggers and the wonderful Buick staff; and appreciate the progress that Buick has made through the years. Day 2: At the hotel we enjoyed a morning breakfast and a short presentation featuring a few of the Buick car models, also detailing our adventures to Kentucky using the new 2014 Buick Regal. The drive was estimated at an hour and 45 mins...giving me ample time to experience and get a feel for the handling of the car. The drive was scenic and perfect for a road test. The drive was flawless and comfortable. Enjoying the scenery and beautiful vistas made the trip even more enjoyable. Upon our arrival to our first chosen activity...the Flame Run. We were given the opportunity to create our own glass ornament made from scratch. We were advised that it would be hot in there and boy was it ever hot I felt like I was in a sauna!! 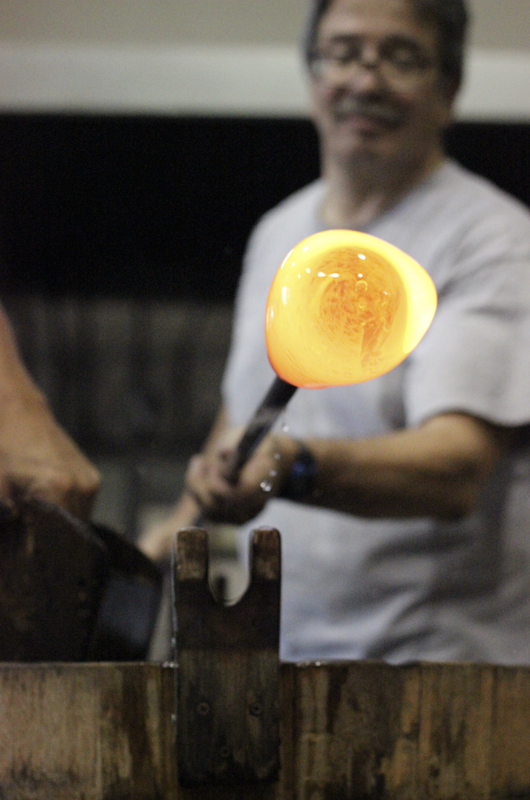 It takes getting a little use to, blowing at different speeds, to perfect a glass ornament. Thanks to the folks from Flame Run who were patient with my blowing techniques. Afterwards, our group enjoyed a lunch at a farm-to-table restaurant called Harvest. There were a lot of tempting choices being offered on the menu but I have to say...the Soft pretzel bun burger was one of the best burgers my sister and I have ever tasted!! I may have to go back to Cincinnati just to have that again!! 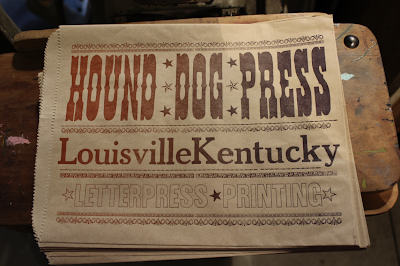 After our lunch at Harvest we ventured to the HoundDog Press where we participated in an informative workshop, taking us back to the printing process that has become a sought after art form in design. The process and creation of posters/graphics is quite the intricate workload. This brings an appreciation to the quality and workmanship of this craft. We ended the night by enjoying a splendid wine tasting/dinner at the Metropole Chef's Table located at the hotel. 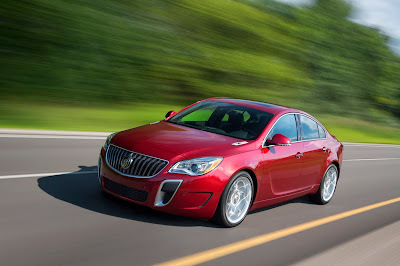 Throughout the different bucket list activities, we travelled to each location with our own 2014 Buick Regal. I admit that this car is actually the most athletic of the Buick line. At one point my sister and I got lost enroute to our hotel...using the OnStar made it very helpful which was nice to have since we were not familiar with the city and its highways. Playing with the IntelliLink screen system was easy to use and pairing my smartphone with the car was very simple to do with bluetooth. Overall Buick has redefined this vehicle, in my own opinion, to target a more younger demographic than what it has been in previous years...an older target audience. - Adaptive Cruise Control - Adjustable for different car lengths. - Blind Spot recognition in the side mirrors, alerting when any vehicle or moving object is in the blind spot. - OnStar- Just love having a live voice to talk with in the car when needed for directions or in case of emergencies. - The car seats vibrates when you get to close to an oncoming vehicle ahead of you. Great safety feature. It's a luxurious car at its finest. As a SAHM (stay-at-home-mom) it's hard to set aside time for myself...and having 5 kids just makes it seem next to impossible. So when my brother sent out an email to a bunch of us with the opportunity of accompanying him to Cincinnati, I entertained the thought in my head but quickly squashed it as I thought of my kids. Thoughts started running through my head...who would watch them (keeping in mind that my kids aren't the easiest)? ?...Can the hubby handle them?? Would he remember to feed them??? lol...At that moment I envisioned my hubby watching them only to be overwhelmed with all the stress of the endless questions, the rants and the raves, and the horror of disrupting the usual bedtime routine!! I embraced reality and sadly knew I had no chance of going. It was only until my hubby suggested that why don't I take my brother up on his offer (which I never imagined could happen) that i jumped at the opportunity without hesitation!! Thoughts...what thoughts?!?! LOL...I was going to Cincinnati..."CinCity"!!! As we arrived in Cincinnati, we were greeted by our guide, Jordan...nice guy! He showed us the way to our Buick Enclave (yes, I actually learned a few things about names of the models of cars and such!) that was awaiting us. I now have a new appreciation for the Buick brand. A luxurious car indeed!! We arrive at our hotel 21cMuseum and doors are being opened for us left and right...I felt like I was VIP or a celebrity walking the red carpet!! I had a moment...an "all about me" moment!! Okay...it was more about the Buick...nevertheless, It was an awesome experience!! The hotel itself was a sight to take in as actual artwork had been incorporated throughout its interiors...definitely interesting and unique! On behalf of my sister and I, I want to give "Thanks" to GM Canada, Buick and Buick Canada for our BuickBucketList adventure!! It gave us the chance to spend quality time together, it gave her a well-deserved break from the kids, and it also gave me a better understanding of how much GM Canada is dedicated to understanding their community and customers...where different lifestyles can meet!! 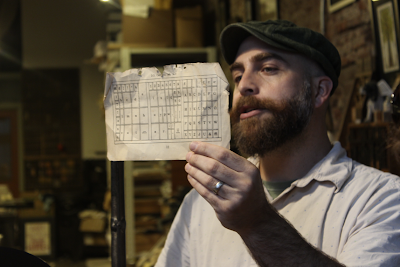 Tonight is the premiere of Day Job documentary in Toronto at the TIFF LightBox. The film is about the process-the conflicts, sacrifices and hardships of chasing the dream of building a startup. This is a great evening to experience the entrepreneurial spirit and to even network with like-minded people in the Toronto Start-up community. On that note, I would like to give away a single ticket to the event tonight that begins at 6pm. Just tweet me at @clickflickca and tell me why you want to go to the flick tonight. Add #ClickFlick to the tag. I'll pick a winner at 12noon. Good Luck!